Winter is back in the North West of England. It was nice to see the sunshine and I hope it comes back again soon. I'll hopefully have some more made in the next couple of weeks. 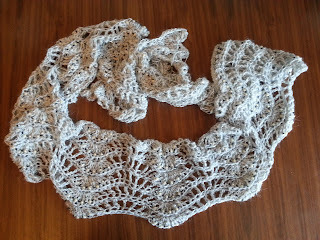 I just love the way the shawl is looking. 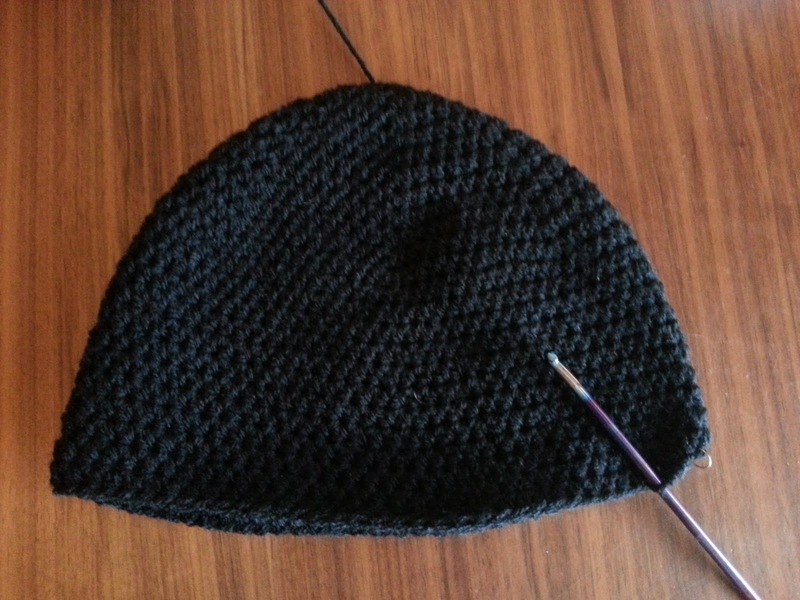 It's the first time I have ever crocheted with beads and I am loving it. The detail it gives the project and the way it moves is fantastic. 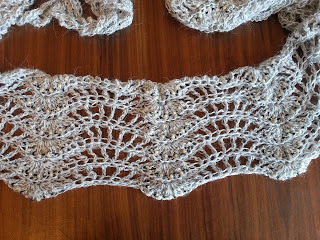 I have chosen a lace yarn that is white with a black strand running through it. With the black and pearl beads I think it is going to look fantastic. I'll be sure to let you see the finished shawl. ideas it uses in the story. but I will see how the story progresses. I'll let you know as I read more. Thanks. I can't wait to see what it looks like finished. It's already moving beautifully. 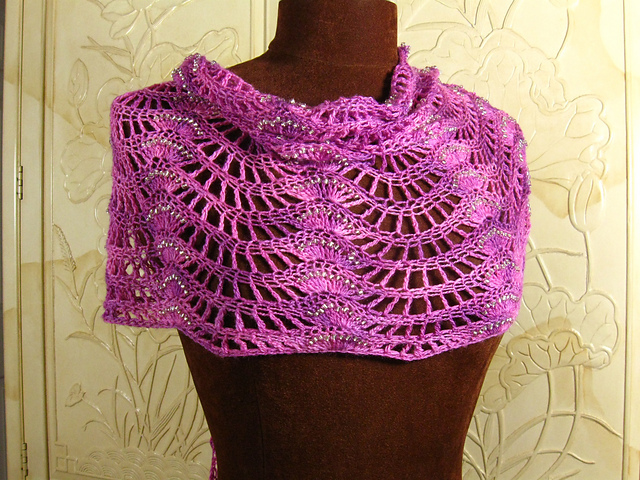 I love those cascading beads they make the shawl simply outstanding!!! Thank you for the photos. Would you ever consider making the pattern available? And of course, a tutorial for it? I would love to crochet along learning the art of beading while crocheting. 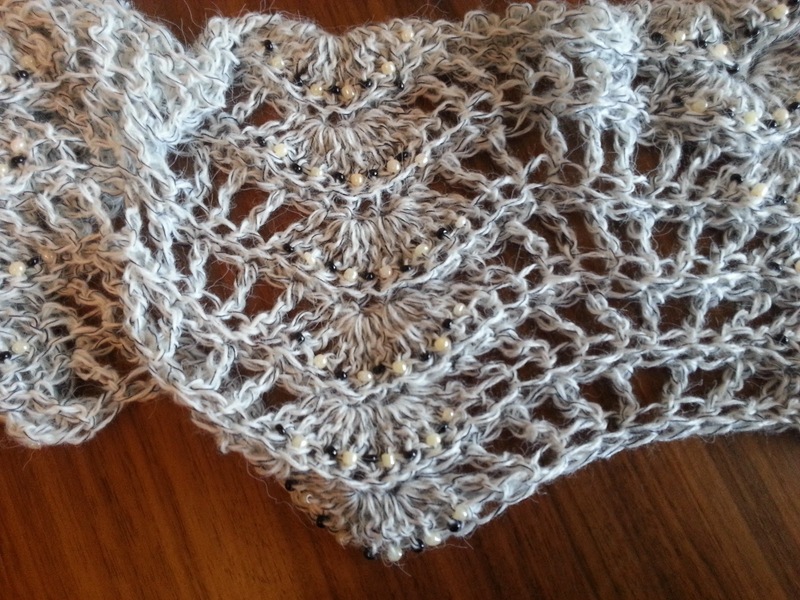 The pattern is for sale on ravelry. Sharon who wrote the pattern explains in the pattern how to add the beads and when. It's a very easy pattern to follow. I agree with Cathy! 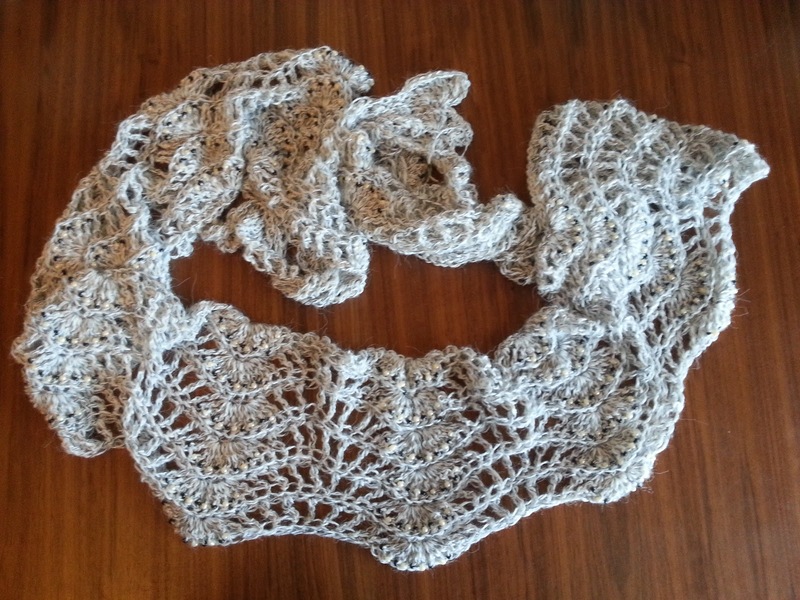 A tutorial would be great, although I have crocheted with beads before it's just been in bracelets, so it was small scale, I'd love to try that shawl; it's beautiful! 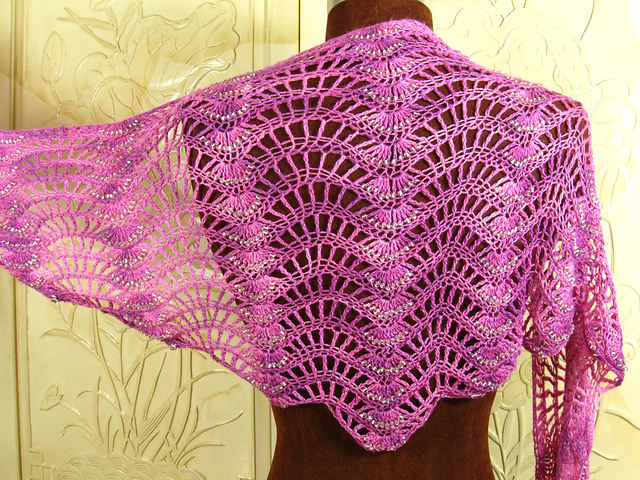 Pretty, pretty shawl. 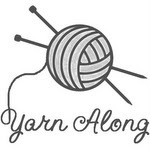 Lots of beads in the posts I've been reading this morning; I really need to get on that! We had driving rain last night and thunderstorms this morning, but it's all cleared out and now we're sunny and warm. Maybe your good weather is just around the corner?